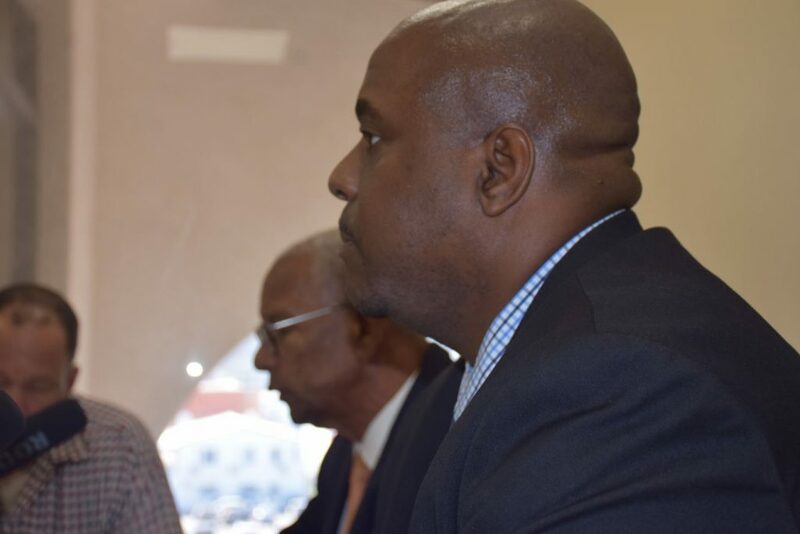 Premier Dr D Orlando Smith has said Opposition Leader Andrew Fahie is partly to blame why his government rushed to dump the full $7 million into BVI Airways, whose operators accepted the funds but never commenced the agreed flights between BVI and Miami in the United States. Under a 2015 signed agreement between BVI Airways and the Premier Smith Administration, government was expected to secure what is known as a ‘letter of credit’ from an international bank. That letter of credit was to be used to pay BVI Airways the $7 million in intervals, over six separate payments. Each payment would be made as the airline met agreed targets. BVI Airways/Gov’t contract: Scheduled dates when the government was to pay portions of the $7 million to BVI Airways. One such target required BVI Airways to commence its promised flights no later than December 31, 2016. 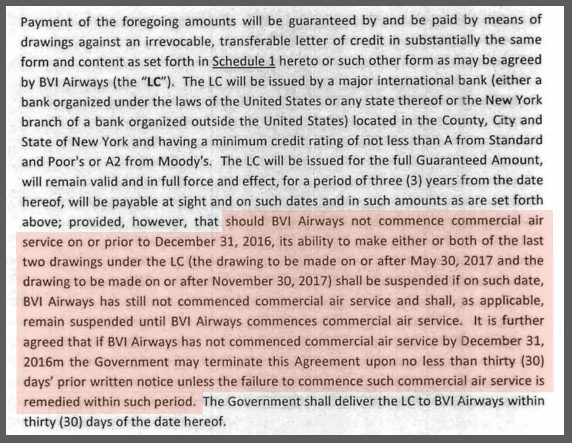 And, according to the 2015 agreement, if BVI Airways did not commence by then, government was to withhold the final two payments that would have been owed to the airline. The contract said payments were to be suspended until the airline commenced its flights. But, when that December 31 date rolled around and BVI Airways had not commenced operations, government still opted to give the airline the full $7 million sum. When questioned in parliament yesterday on why his government deviated from the contract and made unscheduled payments to BVI Airways, Premier Smith said the international bank that was approached to grant the BVI government a letter of credit declined the request. “At the time, because we were still convinced of the importance and the viability of this project (BVI-Miami flights), we agreed to move forward with the other payments so that the airline could have a chance of getting airborne,” he explained. Premier Smith said government made the payments by creating a separate ‘account’ specifically to fund BVI Airways. He then told the House of Assembly Fahie’s “negative noise” about BVI Airways, at the time, was what discouraged the international bank from approving the letter of credit. Dr Smith then implicitly said Fahie’s so-called negativity set in motion a series of events which led to the BVI Airways deal failing. “He (Fahie), in fact, was making statements that did not encourage the continuation of the airline. That’s putting it mildly,” Dr Smith told the House of Assembly. Meanwhile, the 2015 agreement also catered for potential incidents such as the ongoing dispute between the airline and the Smith government, which is being pressured to recoup the seven million of taxpayer dollars. Excerpt from government’s 2015 agreement with BVI Airways. That is but one way airports and airlines work together. No airline will support a Miami airlink because it isn’t profitable with the capacity of aircraft that can land at beef island. Que b*tching about the airport extension. Every Caribbean Island and other small Territories globally pays the major airlines to fly to their countries and if they don’t, none of them would fly there. It’s called a seat guarantee, do some research and stop trying to act bright in the comment section. We didn’t loose our $7big ones because Fahie questioned the logic of making the investment. We lost our $7 big ones because Orlando made a bad decision to invest in the first place. Had Orlando investigates the owners / operators he would have seen that they had pulled this scam in the past. They had previously raised money for an airline that never took off. Why did Orlando waste our money? Why hadn’t he shared the full contract with us? Why didn’t he tell us who received all of the money? Did any minister or their family members receive a finders fee from this investment? Just tell us the truth and start by sharing the contract! What’s the process for impeaching the Premier? My head hurting from this spinner! Perception management & Mushroom principle in full effect. The bank did extensive due diligence and found out that it was more likely a bad investment and back-peddled on the deal. The big question is – whom will be held liable/accountable before elections? Not interested in shifting blame where it clearly cannot reside. EPIC FAIL DOC! Premier, please quit with the nonsense, you l—to the country straight up and down and that’s the end of the story. Quit trying to put blame on Fahie for your screw ups. You gave away tax payers money not your money to a company who you wasn’t in a position to start providing a service to the BVI. You messed up big time, admit it and stop looking for a scapegoat. Is that all you and your government does…look for somebody to blame. Mr. Premier im disappointed in you. Why didn’t Orlando do a simple google search for the characters behind the airline before he gave away so much cash? Why did Orlando pay all of the money in advance when the payment schedule called for our money to be handed out over a period of time? What hasn’t Orlando shared the whole agreement with us? Did any elected official get any payola from this deal? Do we have the rights to audit the airline to see where and who got our money? We will see who is to be blame come election day. This needs to be a full criminal investigations. You’re just wrong. Did anyone in government or assoseates receive money or payment in kind on this deal from any of the companies up or down the chain of this deal. That would be the basis of a criminal investigation. Was the contract set out from the beginning not followed and special deference was payed to the companies? Why? Criminal investigation. Did the company represent itself in any way that turns out to be untrue? Criminal fraud. Normally these investigations would be started because money was paid for something, nothing was given to you and the people disappear. If that is not criminal then expect everything to be taken from you. This premier needs to pay this money back himself. He really full of crap now. I swear something is wrong in this man’s h—. If it is still on his neck. Just when you think you’ve heard it all and seen it all there is more to see and say. Andrew, I never know you had all this clout. I guess you also to blame for all the tourist not coming because they lack a direct flight and here we all thinking it others issues when you solely to blame for all this. Doc I so disappointed in you, I cannot begin to put in words to print on paper bout this. Wonder if they blaming you also for their lack of performance after the flood and hurricanes. Let’s not forget about Orlando’s Hospital that sat empty for ten years because of its poor design or construction. Orlando has once again spent our money unwisely. Where’s the audit? Where is our fast internet? Why didn’t you have a plan for dealing with the storms? Why haven’t you rebuilt our schools? Why haven’t you rebuilt our roads? Why haven’t you find a solution to disposing of our garbage in an environmentally friendly way? Do you think tourists want to come here and see the dump on fire? Do you think our west end residents and neighbors in the US want to be exposed to your fire? Why haven’t you addressed our unreliable power grid? Why is the crime rate rising? Why can’t we even manage our own prison? Don’t blame others for your failures. The leader of the opposition goes into the people’s house to talk gossip? Clearly he doesn’t understand the importance of his role! And yes, banks research investments and they do take into consideration how much positive or negative publicity surrounds it. argets. This F in the VI and its Gov owes a debt to the Super Power and he is/ will pay. Consistent ballyho of accusations of corruption to the international community by a Gov elected person though unproven is not gossip and neither is it intended to be gossip. It sets the tone and perception. It delivers a message of distrust. It is a deliberate mechanism to d e s t r o y. People of the BVI,this is real and a bitter pill to swallow . One snake has been outed. There are at least two more,not elected butthey are vocal mediums. OMG Trumpism has reached the shores of the BVI. Lol at least he did not blame it on Obama. I NEVER READ SUCH SH-T IS THIS MAN LOST HIS —. HE BEAT DONALD T. MR FAHIE YOU HAVE A LOT OF POWER I GUEST YOU GET A BIG LAUGH LOOK HOW PEOPLE CAN MAKE A FOOL OF THEM SELVES. I HAVE BEEN SAYING THAT THIS PLANE FLYING FROM MIAMI IS A LAME DUCK.THE BVI WILL NOT GET A CENT BACK FROM THIS DONE DEAL PEOPLE VOTE OUT HE AND ALL HIS MINISTERS UNTIL THE MONEY RETURN. I SMELL RATS IN THE CAMP. You didn’t even read the damn article. That was the SCHEDULE that should have been followed but WAS NOT FOLLOWED! BVI Airways got the full payment long before that, which is the point Fahie is making. Reading is fundamental and we are in a lot of mess because WE DO NOT TAKE TIME TO READ AND UNDERSTAND, instead we just glance to respond negatively!! You are so full of anger and bitterness you never even stop long enough to read the article. People like you let the BVI look bad. Of course potential investors take note of what the leader of the opposition is saying. He might soon be the person responsible for paying the loan back. And potential investors also read the mood of columns like this. And the more they read about xenophobic r—– the less likely they are to invest. Rubber D-ck you got issues. Hon Fahie is a tool. Now I was saying that this man will be re-elected because people love him But now am seeing this man needs to go home and play with his cat. You lost it Doc. You needed to come better than that. This one takes the cake. Soo long Doc. Happy retirement. Pay attention. Lots of people hurting our economy with negativity!!! Make no mistake about it – we are responsible for what we say and do…. Many, from analysis of their speeches and comments on the floor and elsewhere,appear to function under the notion that the “opposition” means being, speaking and acting negative, and contributing nothing positive the debate or future of country. The “opposition” should function like a check and balance valve, not as an impediment to growth. Such a lesson clearly has not been learnt relative to our opposition. Secondly, if you or the UK taxpayer are paying for something and feel ill about doing so for those ungrateful “subjects,” the solution is a very simple one, remove your dominion from over men and set them free to forge their own destiny. BVI Airways was a bad deal and Doc should man up and say while he was trying to organize something for the benefit of the Territory, it failed and leave it at that. With respect to Fahie saying a bank never stopped a credit line on gossip, not totally true! The BVI needs investors and investors are not going to put their hard earned money into a Territory where at every turn there’s negativity. The ‘Invaders’ rant that won VIP the elections have crippled the BVI economy ever since, don’t take my word for it, look around. We haven’t had meaningful private investment since the days of H.L. Stoutt and we are pretending to be surprised as to why? Our attitudes and behavior has a lot to do with it and quite frankly it will only get worst. We beat our chests and chant how proud we are and we don’t need anyone, we can do it alone. Good luck! You have written the truth. Hope people are reading, thinking and evaluating correctly. Many are smart enough to know the power of words and, thus, use them to affect that which they wish too. They fail to realize that tearing down for the sake of tearing down politically tears down the nation as well. When government policies or attempted policies are attacked and or fail, the whole nation fails. Are you serious? Can’t believe I’m reading this. Me thinks the good Doctor trying to get the opposition elected. Is he really this delusional to think anyone would believe this spin? Question: Had the Government received the letter of credit wouldn’t they now have still been paying interest adding insult to injury? So what is your position, Mr. Fahie? Were you spouting gossip, or were you spouting truth as you saw it? Either way, the bank was listening, apparently. My conclusion is, Dr. Smith is correct. You should have kept your trap shut. @NATO – Is your real name Lorna? LOL Seems like you are in the real minority with opinions here. Mr Premier is looking for a scapegoat. Better he had said nothing in response than put forward that nonsense. It makes him look bad. Better to admit to having made some huge mistakes and try to recover at least some of the money. The owners and operators of BVI Air were previously involved in Baltia Airlines. Search google for: baltia airline scam … this was well known when Orlando gave them our 7 million … why hasn’t he shared the whole agreement with us? Why don’t we have an audited report of our investment? Was any of the $7 million paid to secret BVI corporations? Did any minister get any money from this scam? Let’s investigate. Years of b——————–, ———- peoples name and their character but now in HOA he baslkng out bout it was gossip. He willknh yo tried to —- —- his own cointru with gossip just to get power..man — shameful. Wow, Looks like you really lost it. Wasnt it your name on the airplane. They were to prove him wrong if that was the case! International bank will not give the letter because. A t—- from a t—- make God laugh! Now someone getting laughed at and trying to put the blame on someone else. Mercy! Mercy! What the hell is wrong with us? Our Premier has sunk to a new low. The —- Premier in the history of the Caribbean. Not only has he f— his people, he now he trying to transfer his failures to those that were fighting hard to prevent him from making the same terrible mistakes. Please resign now and go home to your master before you lead us to the point of no return. Something is very rotten here. There needs to be an independent review. There are plenty of people here in BVI who investigate frauds lets set them at this after the next election. That money can be followed. Recoveries could be made. If persons have abused BVI companies for their benefit then the FSC need to get involved. Doesn’t anyone in BVI government have a single ounce of financial knowledge – this was a hose job from day one and someone made out like a bandit. What did Orlando and Waylon know? Did either get any payola? Fortunately the situation can be rescued. My new company, Plummet Airlines, itends to start flying a Goodyear Blimp direct from from BVI to Miami sometime soon. No runway extension will be needed. A government grant of $10 million to get the service off the ground, so to speak, is being negotiated right now. 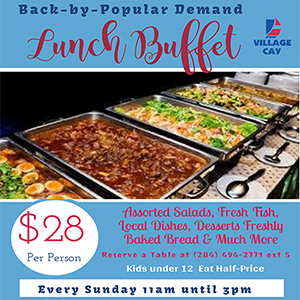 God bless the BVI government. since there’s been 53 posts can i be the first to mention race? Lets not hold anyone accountable due to race. Maybe we can hold the guilty in the same non cell as those drug dealers who just got off. Probable same amount of money involved. 7M. It sure took the PM a long time to spin this one upm – and that’s understandable because it is so flimsy. According to the PM, the loss was Fahie’s fault because he was against it and said so in public?? I wonder if such an argument would hold up in court? Our politicians – like politicians worldwide – seem to get further away from intelligence, reality and truth with every passing week. If anyone believes this kind of limp excuse they need urgent psychiatric attention. That F hever since the last election,has been consistent with — parade of despicable negativity agsinst the VI and its Gov and each and everythimg they do or propse to do. — has created for investors an atmosphere of uncertainty riled with thievery snd deception. — was warned and cautioned years ago by the lady with the golden leg to no avail.This F appears to be guided by demonic forces as — is also the only visible member of — political parth which has been rendered moot and invisible. Why are the men who gave away this money not in prison??? This is blowing smoke. Andrew had absolutely nothing to do with a payment made without any contractual obligation. A blind man with wooden glasses can see that. An ex gratia payment of 7 million dollars using public funds outside of the terms of the contract in itself is enough to spark an investigation by Auditor General and PAC. This is an insult to our collective intelligence. After reading the link to Baltia Airlines there also seems to be a well established means of extracting cash under false pretexts from investors using “airlines”. This speaks to a lack of due diligence checks and begs the question of our leaders’ fitness for office.